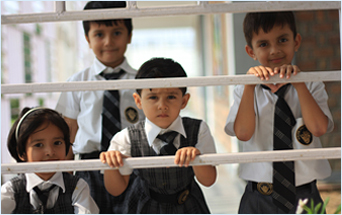 Welcome to Sehwag International School (SIS), focusing on overall development for a better world. SIS, founded by Mr. Virender Sehwag, aims at sculpting its student’s into responsible global citizens who constantly strive for perfection in every aspect of their lives. Perfection can only be a result of constant care, attention and perseverance (correction). Keeping this in mind SIS ensures that each student be dealt with the utmost patience and care, developing them into responsible global citizens. SIS offers day school and residential facilities to students from Grade 1 to Grade 12 and prepares them for the Central Board of Secondary Education (CBSE). Our faculty consists of handpicked professionals who are the most competent and experienced in their fields. Our faculty is constantly developing novel methods to keep students motivated and realize their true potential. Moreover the one is to one mentoring ensures that each student excels in his strengths and is constantly improving his weaknesses. The focus at SIS is to offer 360° developments to students SIS thus focuses on every aspect of a student’s life, from academics to sports, to social skills, emotional and intellectual development. At SIS students are not just taught but trained to face the real world. Our comprehensive academic program goes beyond the 4 walls of a classroom and inculcates learning into our lives. It has been molded to empower students to think critically, synthesize knowledge and reflect on their own thought processes. Aiming at removing the fear of getting their feet wet in interdisciplinary thinking. Equipped with the most technologically advanced laboratories and classrooms, we ensure students receive a balance of theoretical and practical knowledge. 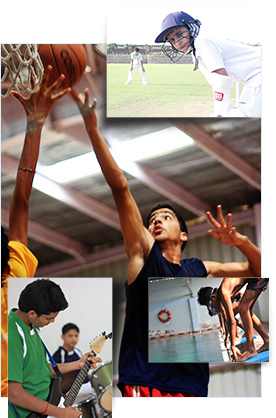 Our advanced sports facilities and highly proficient faculty not only allows students to learn varied sports but also the spirit of sportsmanship. Our inter house disciplines and interschool competitions, combined with various cultural fests give students the exposure to develop their social and communication skills. While providing students with an international learning experience and developing globally minded students, we believe in preserving the core Indian values that define each of us. Defined by the Power of 7, the SIS fraternity lives upon the mantra of “Arise Awake Ascend”.